Screen time has since the inception of television been cited by parents and educators as being an issue among children and youth. The proliferation of tablets and smartphones seems to have rekindled such worries particularly in view of the fact that unlike TVs, these powerful devices are portable. The situation is further exasperated by the myriad of activities available through such devices such as; socialising, particularly through social networking sites and messaging services as well as entertainment through media streaming and games. Despite this, one cannot dismiss the importance of being connected especially for youth, as our future entrepreneurs and bread winners competing in a global workforce. Excluding youth from having access to such technologies will undoubtedly limit their opportunities in the future, irrespective of where the future may take them professionally. The educational opportunities are endless. On the Internet one can find, among others, many reliable resources that support students, particularly in STEM (science, technology, engineering and mathematics) subjects. A healthy balance between technology use and offline activity is to be encouraged. Such a balance is not only necessary for the physical but also emotional wellbeing. The Internet, which consumes most screen time is a very volatile place. For instance, in cases of cyberbullying one's online reputation may be severely (wrongfully) tarnished. 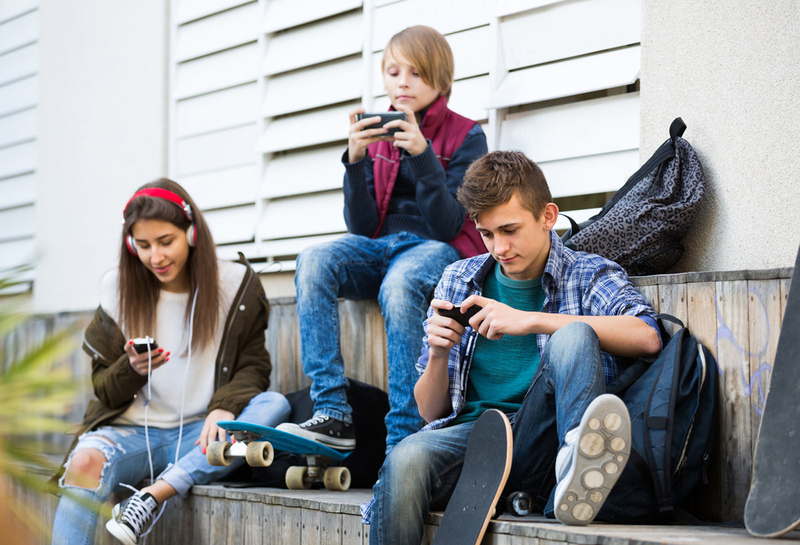 Given the significant importance that online presence plays in a youth's life, this could be very detrimental to their self-esteem and emotional status. Having a healthy offline life, achieved through, initiatives such as belonging to a group of common interest (sports related, religious group etc.) is one mechanism to help build resilience and be in a position to deal with such online risk. One must question what a youth is foregoing during that time. Has the youth stopped going to football or dance practice? Have they stopped going out with friends? Have they stopped doing any other activity they used to love and look forward to? In severe cases - their basic hygiene and/or nutritional requirements (situations we have also intervened in locally). - When is the time using the device being spent? If it is a weekend and parents do not offer an alternative (e.g. a bike ride) one will precipitate towards the device. - What time of day? Adults must lead by example. One look around a restaurant, at the beach, or even the park, where parents have an opportunity to bond with their children, is evidence that this problem is not a youth problem but has become a generic issue. As Malta Communications Authority (MCA) we have been leading the BeSmartOnline! project since 2010. Together with the Foundation for Welfare Services, the Office of the Commissioner for Children and the Directorate for Learning and Assessment Programmes (PSCD) have been working on increasing awareness and also intervening in situations related to online risks with overuse being one of the many. This is done through talks in schools and in informal settings with youths, through talks for parents and also seminars organised for educators.